Terrace Storage Shelf / Bookcase Collection is perfect to use alone or pair with baskets and create a place for your goodies. This 3-Tier Shelf has overall size of 26-Inch Width by 11.8-Inch Width by 30-Inch Height. Top is 26-Inch Width by 11.81-Inch Depth. Upper shelf is 23.54-Inch Width by 10.63-Inch Depth by 12.80-Inch Height and lower shelf is 12.32-Inch Height. 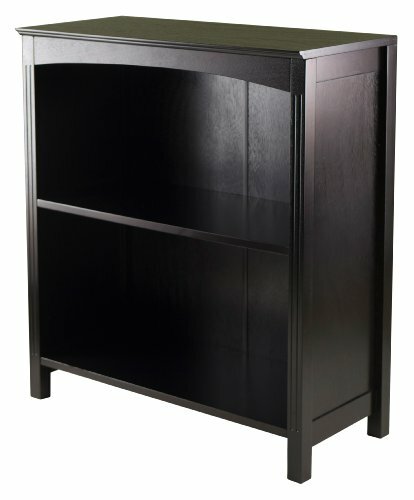 Constructed from combination of solid and composite wood in Dark Espresso finish. Assembly Required.